The St. George was made aware of a craigslist ad involving a 2 bedroom apartment at 833 Front Street. Please do not respond to this ad, it is phony and possibly a scam. We have studios only. Sorry for any inconvenience. 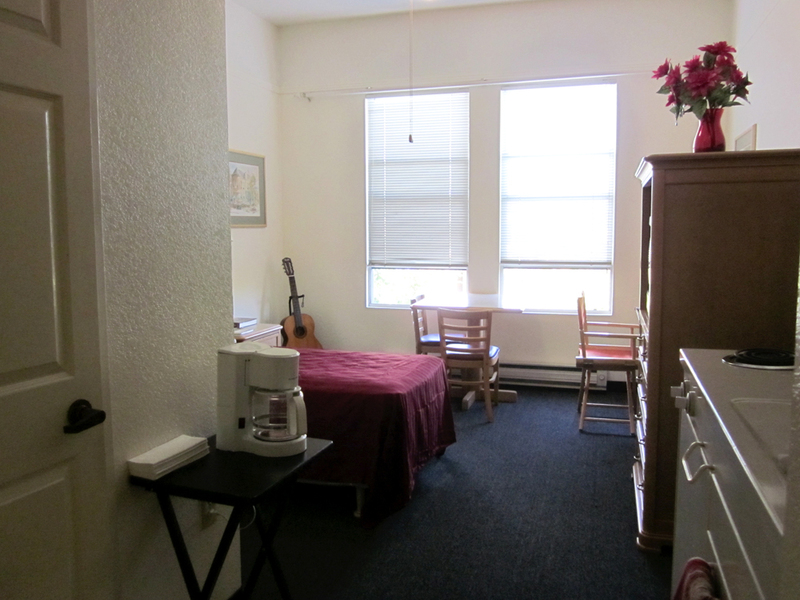 Studio Units at the St. George: The average studio is 232 square feet. All units have windows with a view of either Pacific Avenue, Front Street, or an inner courtyard. 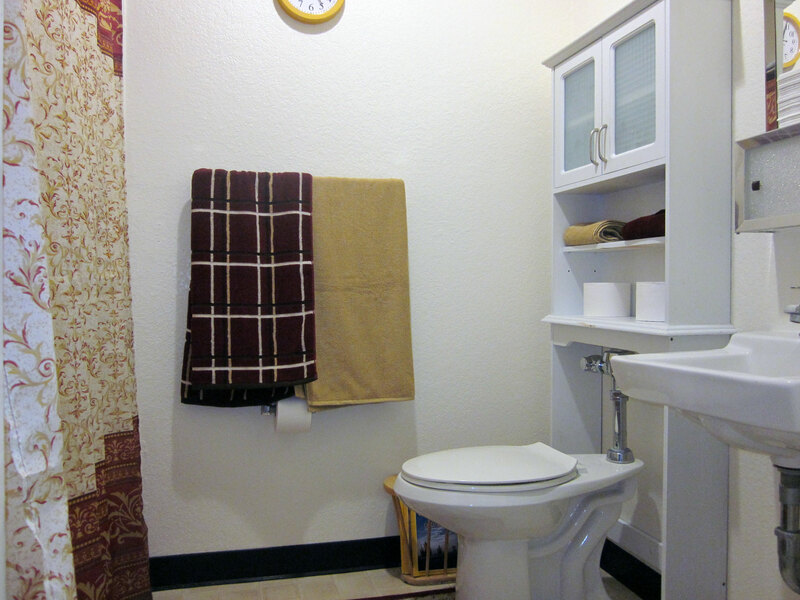 All units are equipped with a private bath and kitchenette. The bath includes a toilet, sink and combination shower/bath tub. The kitchenette includes two electric range burners, sink, microwave oven, mini-fridge, and cupboards. 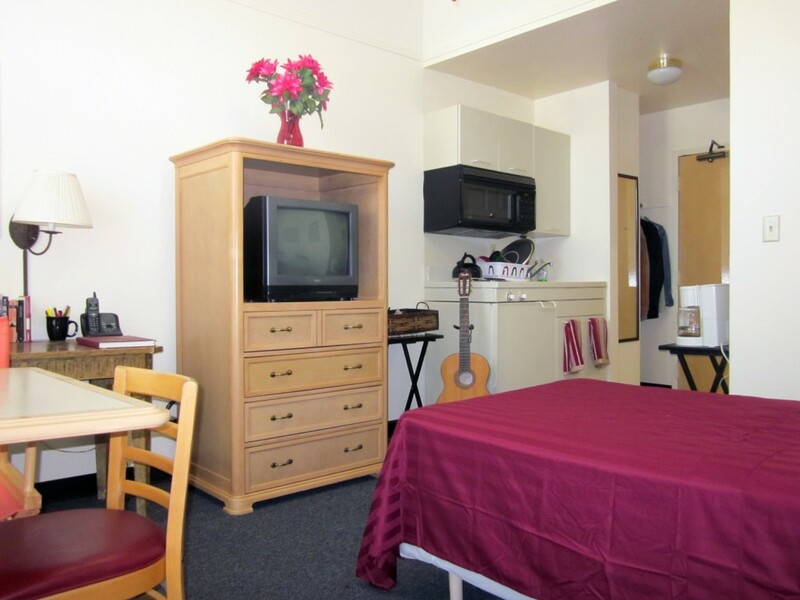 Rooms are typically furnished with TV-stand/dressers, dining sets, twin or double beds, and night stands. Room schematics and photos are available below.